Ranging from laboratory instrumentation through to consumables with application to research, manufacturing, industrial processes - our scientific products are supported by product and technical specialists. We offer a full range of chemicals including dries, solutions, solvents, acids, volumetric solutions, biochemicals, standards, high purity solvents and acids and speciality chemicals as well as kits for food and beverage analysis. The major brands we offer include: Fisher Chemicals, Acros Organics, Alfa Aesar, Ajax Finechem, Maybridge, Fisher BioReagents and LabServ Pronalys. Innovative biosciences technologies in life science research and drug discovery for protein research, cell culture, high-content cellular screening, RNA interference, nucleic-acid amplification and biostorage. Providing innovative analytical instruments, essential lab equipment, supplies and biotools for researchers working in the fields of antibodies, cell cultures, cell biology, drug discovery, electrophoresis, genomics, proteomics, stem cells and more. 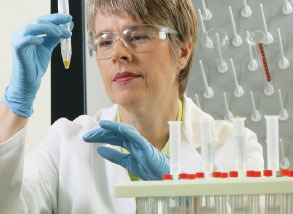 High-quality plasticware, glassware and supplies designed to perform perfectly in demanding laboratory environments.Trust products developed by experts in designing for performance, usability and cost-effectiveness. Thermo Scientific microbiology products include Remel and Oxoid culture media, VersaTrek blood culture systems, Sensititre systems for antimicrobial susceptibility testing, and market-leading molecular technology for food-borne pathogen detection. Laboratories need to be more flexible than ever and need LIMS to support that ability. With built in data integrity and security features, you can easily manage your lab data, resources and workflows and drive automation by connecting your instrumentation and systems through open standards. You drive your lab, we just make it easier. For the research, development, and manufacture of unmatched diagnostic reagents, supplies, and instruments to determine disease markers or analytes of diagnostics interest. High-quality solutions to help clinical laboratories increase efficiency and improve safety. Workplace safety products incoporating cleanrooms and controlled environments, as well as industrial and environmental applications. Advanced technologies to assist safety managers to maintain high standards in hazard identification and regulatory compliance, ensure lone workers safety and minimize environmental footprint.